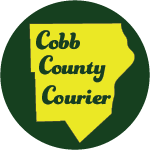 Cobb County recently closed on 18 acres of parkland in District 3. 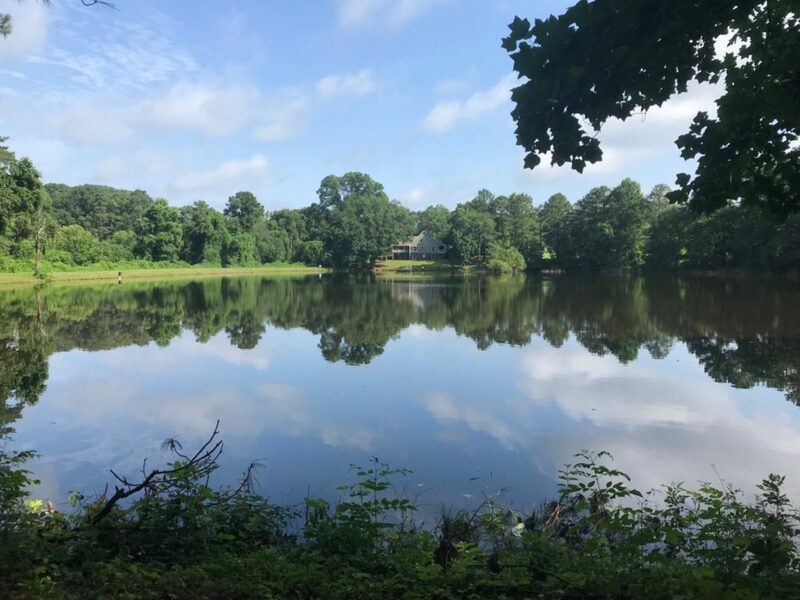 The county issued a bond to purchase the property at 4055 and 4057 Ebenezer Road as a result of the 2008 parks referendum, which passed with over 60 percent of the vote to preserve green space. The property cost about $1.7 million. The public was invited to explore the new purchase at a preview on Saturday. A spring-fed lake sits in the center of the property. Residents were invited to fish at the preview, but swimming will not be permitted at any time. 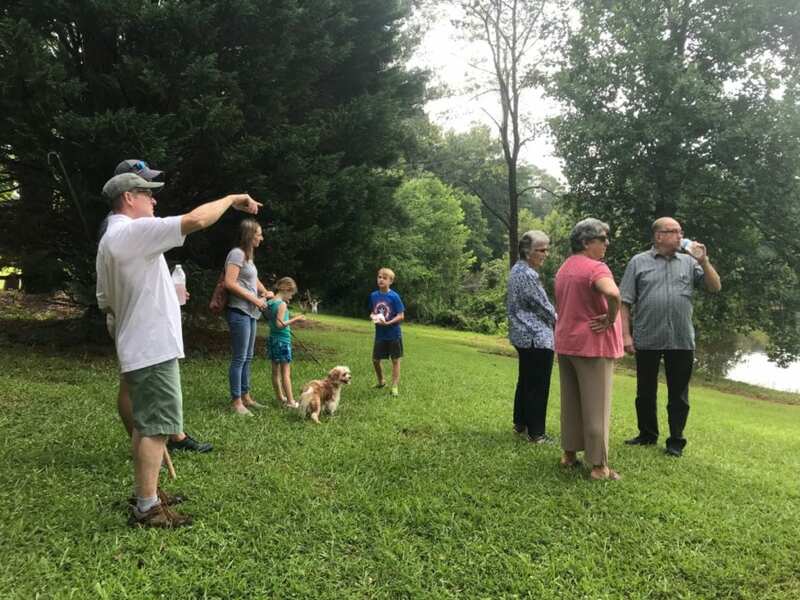 There is a wide path around the lake that was initially thought to only take visitors three-fourths of the way around, but a local resident discovered a path during the two-hour preview that allowed walkers to make a full circle. County Commissioner JoAnn Birrell and Tom Bills from PARKS walked the property and answered questions from attendees. Two houses sit on the property. Birrell expects one may be demolished as it is not in great condition, but the larger house sits directly on the lake and has the potential to host events or community activities. One question that remains to be answered is when the park will be open for public use. Since the bond money can only be used for the purchase of the land, the issue of maintenance and development costs must be discussed by the Board of Commissioners. Even though the park will remain passive with a low level of development, there are still safety issues to be addressed and basic facilities needed. The land for Mabry Park off Wesley Chapel Road, for example, was purchased in 2008 and is still not complete. News of the new park was met with a mixed reaction in a local Facebook group. 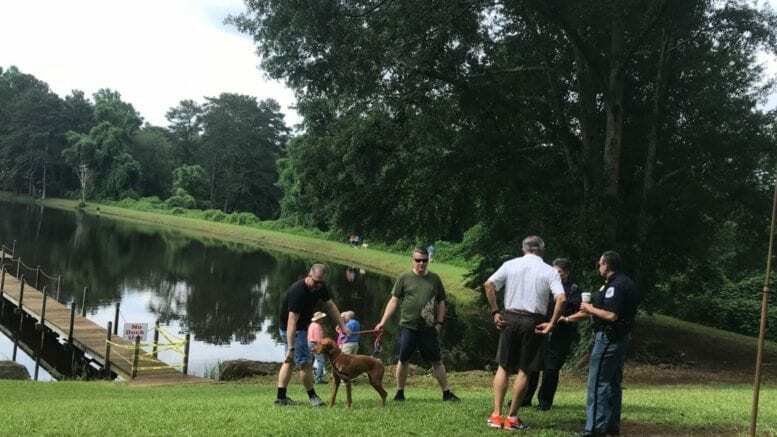 Some residents questioned how the county can take on more parks when a budget shortfall has put other parks in danger of closing. Other residents said they were happy to see the land purchased before it could be developed. 2 Comments on "Preview of New District 3 Park on Ebenezer Road"
What would the local Facebook you referenced be called? The Sprayberry Crossing Action group.